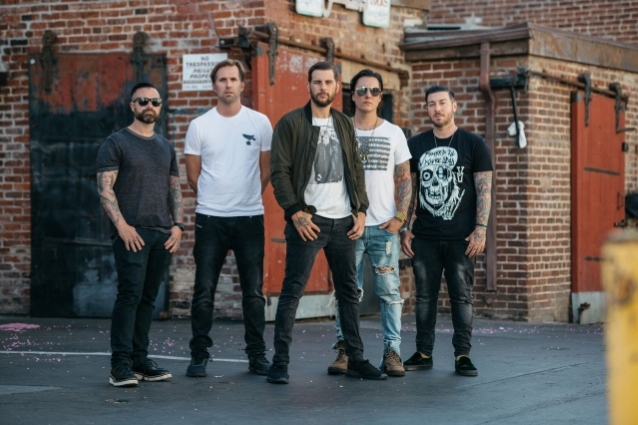 SCUF Gaming, innovator and creator of high-performance gaming controllers, continues its partnership with American rock band AVENGED SEVENFOLD and releases the SCUF Vantage Avenged. The controller features iconic designs from the bands globally recognized artwork, and continues SCUF's multi-year collaboration with the acclaimed musicians and gamers. Music from AVENGED SEVENFOLD, whose first SCUF controller design debuted in 2013, has been featured in each of the four installments of "Call Of Duty: Black Ops", all of which has been collected in the EP "Black Reign", available now. Lead vocalist M. Shadows is an avid "Call Of Duty" player and has been using SCUF controllers since early 2012. M. Shadows says: "We are super excited to share a new AVENGED design for SCUF controllers and continue our partnership with SCUF. With our new song 'Mad Hatter' featured in this year's 'Call of Duty: Black Ops 4', we are thrilled to now give our fans the edge in-game with the great features of the SCUF Vantage Avenged for PS4." "This new controller embodies the increasing interplay between the gaming and entertainment worlds in an authentic way," said Duncan Ironmonger, CEO and co-founder of SCUF Gaming. "We're delighted to extend our close partnership with M. Shadows and AVENGED SEVENFOLD. The response from their community through the years has been amazing and we are excited to offer their fans a new design that represents the brand so well." The SCUF Vantage Avenged design mirrors the slick style that frequents AVENGED SEVENFOLD's album covers and merchandise. It features a black background and glossy silver imagery which compliments the silver triggers, D-Pad, and Sax buttons. Each SCUF Vantage Avenged controller comes equipped with a suite of configurable components, including the paddle control system, unique side-mounted Sax buttons, advanced audio touch bar controls, a quick-access remapping switch, customizable thumbsticks, hair trigger, trigger stops and extenders, choice of D-pads, and an interchangeable magnetic faceplate, all designed to increase hand use and deliver a significant performance improvement. For more information, visit scufgaming.com/avenged.